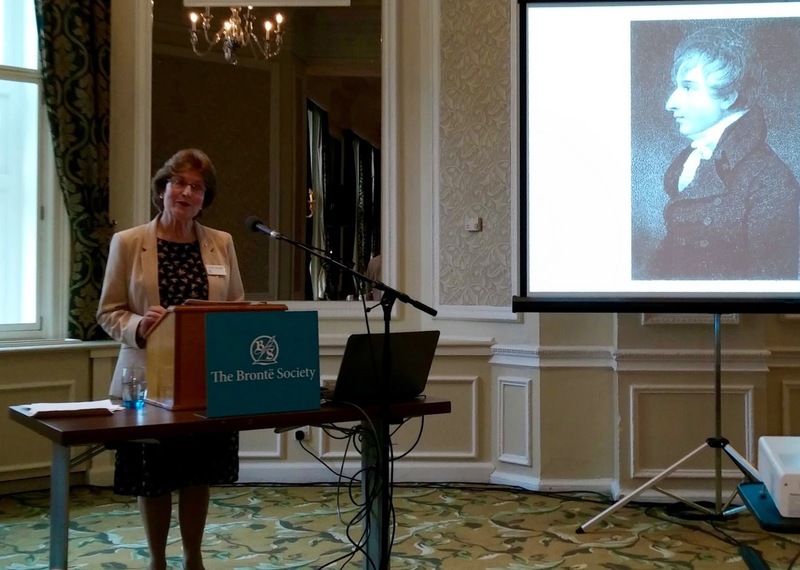 The Brontë Society Conference 2016 was held in Manchester at the luxurious Midland Hotel between 19 and 24 August, this year being particularly relevant because of the bicentennial celebration of the birth of Charlotte Brontë. The Italian Section was of course present with a mini-delegation consisting of Maddalena De Leo, its representative, and Caterina Lerro. The three days event was completely dedicated to Charlotte and was entitled '... the business of a woman's life', Charlotte Brontë and the Woman's question. 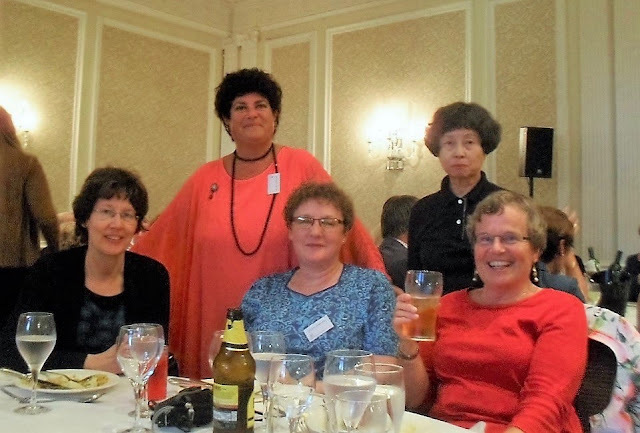 Among its speakers the were some of the best and most famous world scholars of the moment - for example Christine Alexander, Germaine Greer, and Sally Shuttleworth. Beside them were many other academics from all over the world. 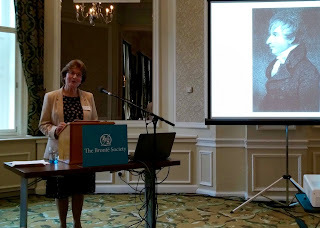 On Friday afternoon, after the superb reception of the nearly one hundred and fifty delegates from various nationalities in the multi-starred hotel, there was the introductory lecture during which Christine Alexander focused on the literary ambitions of the young Charlotte, referring also to her mother Maria Branwell Brontë’s libretto recently found and bought by the Society; immediately afterwards there was the introduction of the powerful book written by her and Sarah Pearson Celebrating Charlotte Brontë: Transforming Life Into Literature in Jane Eyre, the major Brontë Society publication 2016 for the bicentennial. The toast offered by Brontë Studies publishers ensued then, followed by the first dinner in the very elegant Derby Suite located on the first floor and adjacent to the conference room. 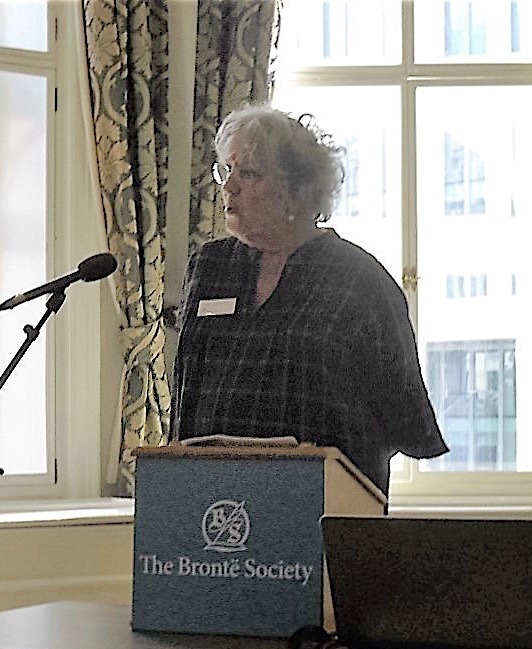 After it another brilliant paper was given by the representative of the Belgian section, Helen Mc Ewan, based on the point of view of the mid-nineteenth century Belgian citizens in regard to our Brontës. Saturday 20 August saw the debut of 'key-note speaker' Germaine Greer with an original and very personal paper, full of inputs and questions about Charlotte's personal and social life, a speech that clearly attracted a lot of questions and created an animated discussion in the hall, afterwards followed by a 'visual panel’ dedicated to the cinema and TV drama adaptations of Charlotte’s novels. In the afternoon a small group of delegates went to the nearby Manchester Central Library while almost all the others took part in the excursion previously organized by the Brontë Society which included a visit to the recently restored Elizabeth Gaskell’s house at number 84, Plymouth Grove. It was there that Charlotte’s biographer lived from 1850 until her death in 1865, writing all her novels and the Life, and it was in that same living room that she talked by night with her friend in the three times that she was her guest. Back at the Midland Hotel and after more lectures on the role of women in Victorian times, there came the highlight of the Conference, the gala dinner with its sophisticated salmon menu, followed by Claire Harman’s dissertation in which she - Charlotte’s latest biographer - outlined the strengths and weaknesses present in the long friendship of the three former classmates, Mary Taylor, Ellen Nussey and Charlotte Brontë. On Sunday morning, after the report of Prof. Shuttleworth about the sense of injustice denounced in Jane Eyre and the other novels by Charlotte, the topic was instead the economic aspect of the women’s question in the Victorian era. Then there followed the comments and thanks to the Vice-President of the Brontë Society Patsy Stoneman for the excellent organization of the event, and farewells to all participants after the rapid final lunch.